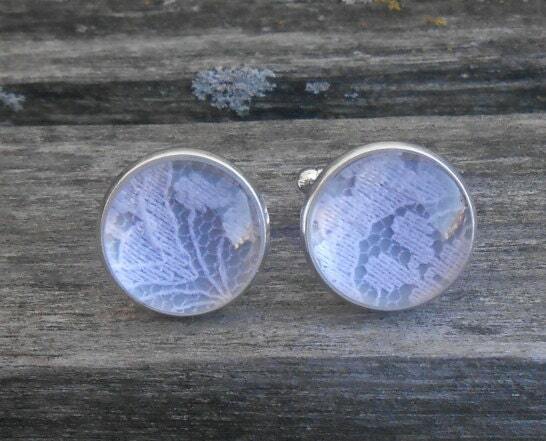 Wedding Dress LACE CUFFLINKS. 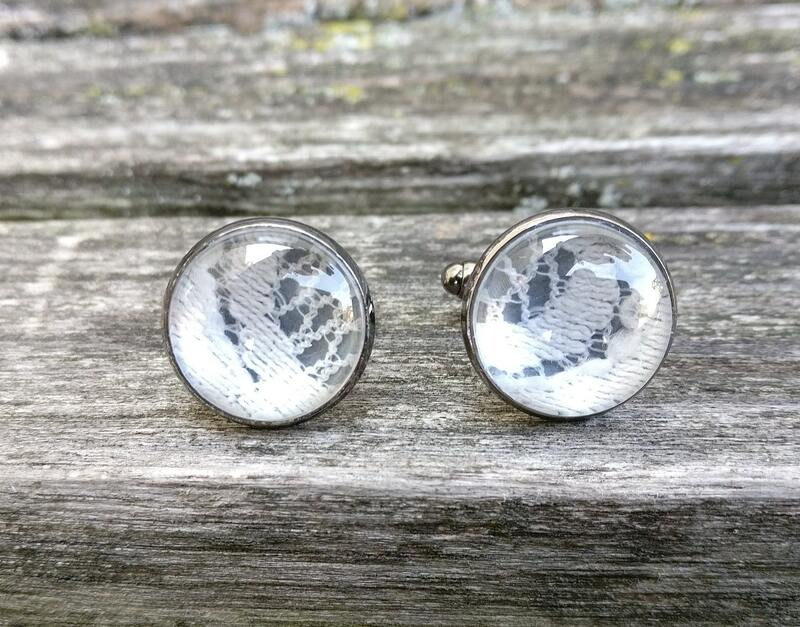 Groom, Groomsmen Gift, Anniversary, Dad Gift, Memory Locket. Custom Orders Welcome. 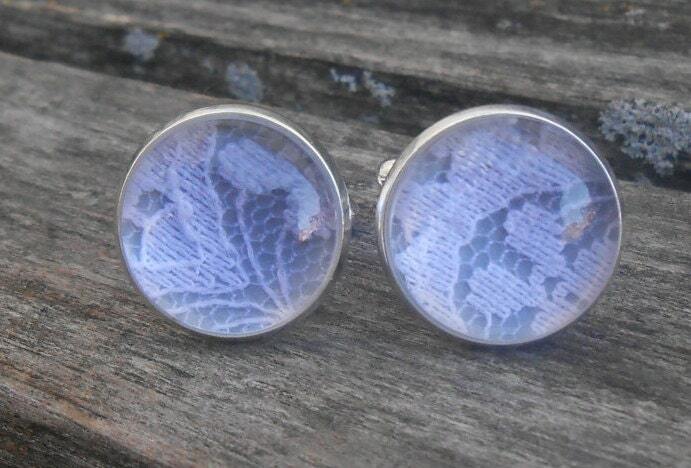 This listing is for a custom order for one pair of cufflinks. Here is how it works! 2. 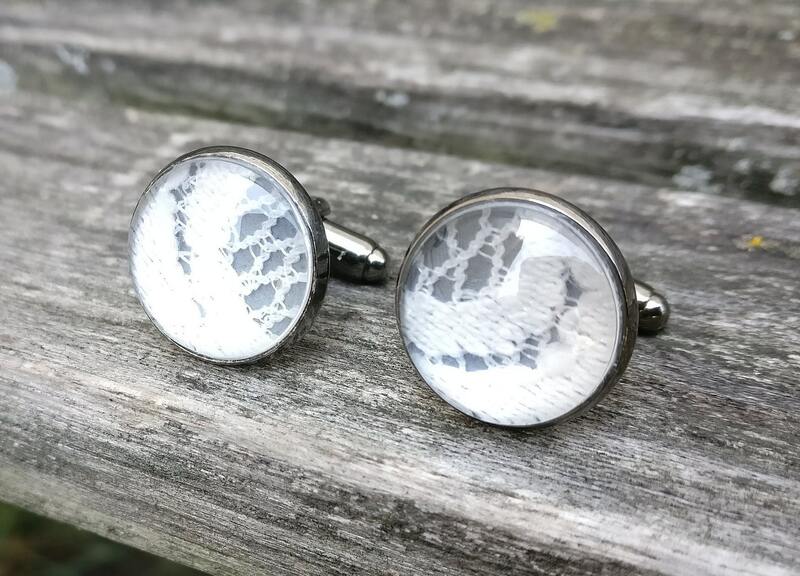 Mail me a piece of lace from your wedding dress, or veil, or any other thin fabric you want made into a pair of cufflinks. 3. You get to pick the color you want in the background, under the lace. 4. 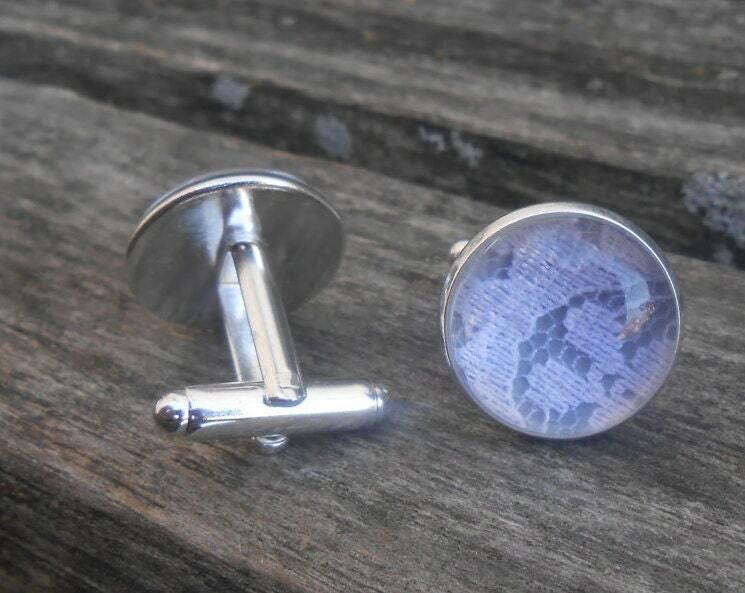 I will make your cufflinks and mail them back to you. THE PIECE YOU SEND ME MUST BE THIN AND FLAT (LIKE A PIECE OF PAPER), IN ORDER TO PUT THE GLASS COVERING OVER THE TOP. If your lace has sequins and raised embroidery, or applique, it will not fit. 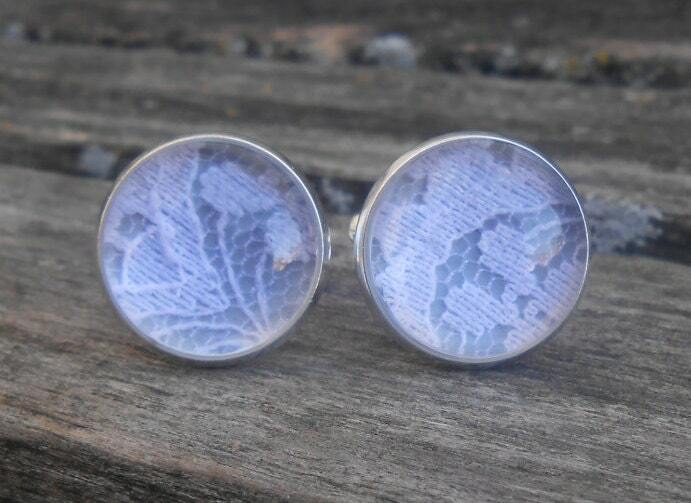 These are perfect to give to a groom, groomsmen, dads, or anyone else! 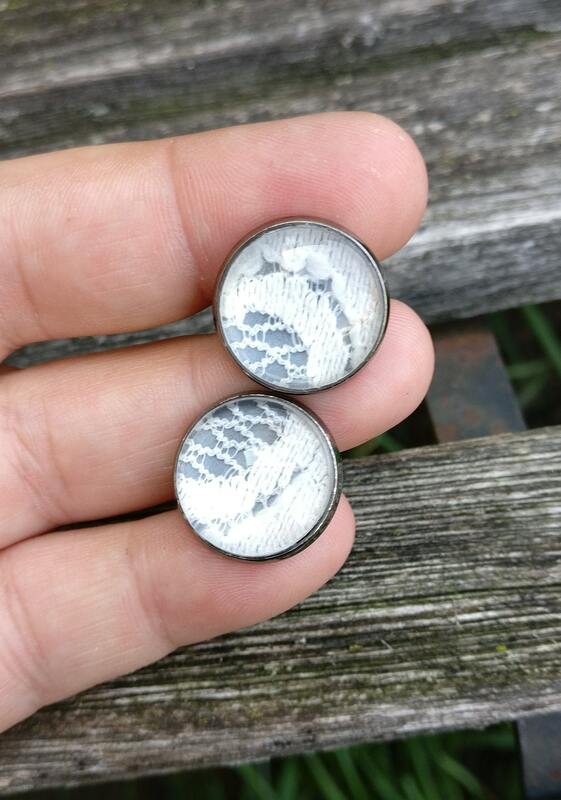 They measure 16mm. 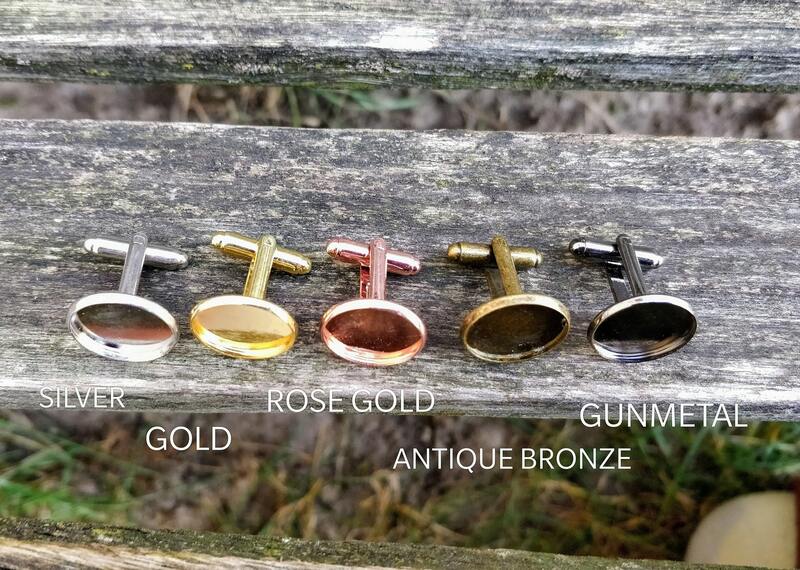 You can choose from silver, gold, antique bronze, or gunmetal black.